WWE RAW Review May 16th 2016 – Hit & Miss Go-Home Show for Extreme Rules. The go-home RAW for Extreme Rules was a pretty inconsistent show. The first 45 minutes or-so were perfectly fine, but things went off the rails for about an hour until Karl Anderson & Luke Gallows wrestled the Usos in a very good TV match and we got the usual Club/Family brawl to set up Styles/Reigns on Sunday. After that it was more nonsense and meaningless stuff until the main event segment which was a contract signing for the Charlotte/Natalya Women’s title match. Thankfully nobodies dead family member was brought up this time, although they did manage to make the story entirely about Stephanie McMahon and not the two women fighting for the title. Show opened with AJ Styles cutting an in-ring promo. Said he headlined the Tokyo Dome in front of “60,000” people and won championships all over the world then noted that he didn’t need the Club’s help to beat Reigns at the PPV. Reigns showed up and was booed; he told Styles that everything he had accomplished meant nothing until he won THE championship. They bantered back and forth then while Anderson & Gallows made their entrance, the Usos sneaked into the ring and stood next to Reigns. Styles turned into a punch from Reigns and rolled outside; Anderson & Gallows held AJ back and Roman held up the title. Later, just before the top of the third hour, the Usos wrestled Anderson & Gallows for the thousandth time. Usos won in 13:00. Even though we’ve seen the match a bunch of times, it really picked up after the hot tag and Jey Uso hit a dive to both guys on the floor. They did some near-falls and the finish saw the Usos hit a pair of Superkicks on both Good Brothers then Jimmy pinned Anderson with the Superfly Splash. Afterwards, the Club & the Family got into a brawl; Reigns hit Styles in his bad back with a chair and took out the Good Brothers. Styles came back and nailed Reigns with the chair then gave him the Styles Clash onto the chair and stood tall. – Anderson & Gallows lose again; typical WWE idiotic booking. The stuff with Styles & Reigns was fine, although they made it blatantly clear that Styles is losing and they pretty much told viewers to expect a bunch of interference in the Extreme Rules match. They set up the IC title Four-way with some good stuff. Opener was Sami Zayn vs. Cesaro; Kevin Owens & Miz were on commentary and Owens buried Miz like a hero. Match ended in a no-contest at 1:40 when Owens & Miz hit the ring and everybody brawled. Shane McMahon came out to book the Teddy Long Tag Team Special and paired Zayn with Cesaro and Owens with Miz. “He’s the worst one!! !” Owens yelled. Stephanie showed up and said he had a better idea and changed the match to Owens & Zayn vs. Cesaro & Miz. Shane agreed that it was a better idea, because even he is not smarter than Stephanie. Match was fun; Owens yelled at Zayn the whole time. Cesaro went for the Giant Swing but Miz tagged in a dumped Cesaro out. Miz set up for the Swing on Zayn, but Cesaro came back and laid Miz out with his own Skull Crushing Finale. Owens dragged Cesaro out and Zayn pinned Miz with the Yakuza kick in 11:20. Owens blind-sided Zayn after the match and demanded the referee raised his hand; “I won too!” Owens declared. What a great man. Dean Ambrose & Chris Jericho’s match at Extreme Rules is now an Asylum Match, which is basically a Clockwork Orange House of Fun match. Ambrose was out for a promo and was all serious about Jericho smashing the plant on his head and tying him up in a straitjacket on SmackDown. Jericho interrupted and told Ambrose he owed him $15,000 for the jacket he ruined. 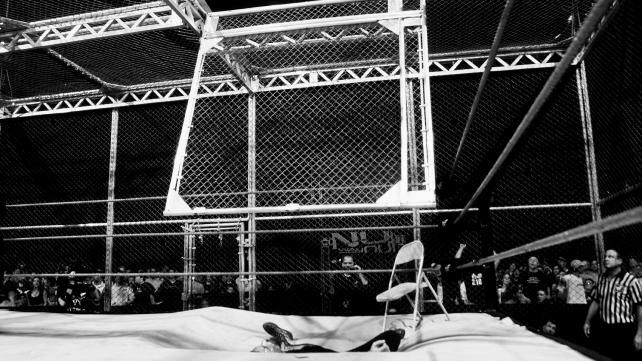 They argued about who was the craziest then the cage lowered while some corny dramatic music played. There were a bunch of goofy weapons hanging above cage, including another plant, a straitjacket and a fire extinguisher. 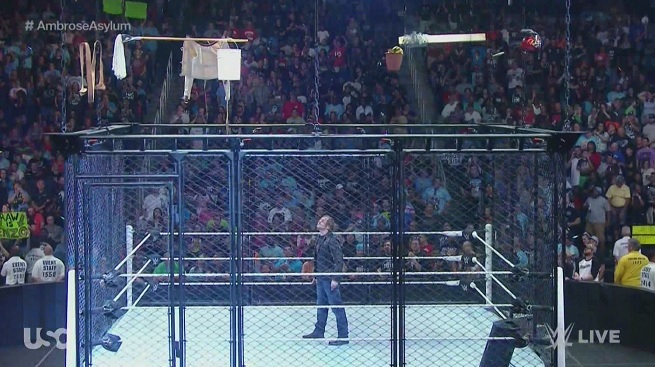 The lame music continued to play while Ambrose explained that Shane said he could have any kind of match he wanted and he stated that Jericho would never be the same again. – Segment was corny and the feud overall has been pretty silly, but these two should still pull off a good match even with all the ridiculous gimmicks thrown in. Main event segment was the Women’s contract signing – of course Shane & Stephanie were both out there. Natalya signed the contract first then Charlotte rambled on forever and managed to make the Greenboro crowd boo her. Shane told Charlotte to sign, but she and Flair looked at the contract and were not happy. Shane said there was an added stip that if Flair showed up at all during the match then Charlotte would be stripped of the title. 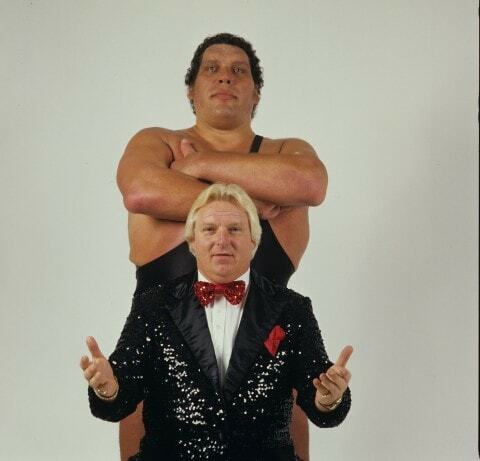 Flair got hot and called Stephanie, “the worst businesswoman off all-time”, probably not a good move. Charlotte eventually signed then Flair challenged Shane to a fight, however Shane refused to fight him because he had too much respect for him. Stephanie said he didn’t respect Flair and slapped him in the face; Flair of course took a huge bump. The fans actually chanted, “Stephanie” and Nattie put Charlotte in the Sharpshooter then she stood tall to close the show. – It’s nice that they put the women in the main event segment, but this was clearly all about Stephanie McMahon getting herself over in the Carolinas at Ric Flair expense. Miscellaneous: Primo & Epico debuted as the Shining Stars and it was clear from the moment they came out that this gimmick is utter death. They said the ring was their island; nobody cared at all. 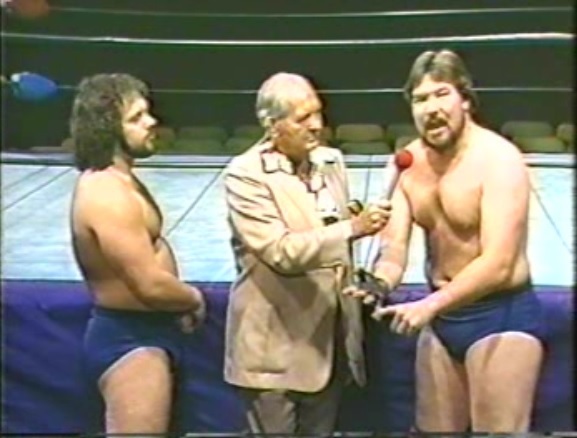 They beat John Skyler & Corey Hollis from NXT in 1:45; Skyler & Hollis were given different names for some inexplicable reason. Shining Stars won with their finish, called the Shining Star, which is basically the Total Elimination. Dana Brooke beat Becky Lynch in 3:45 by reversing a roll-up; the announcers acknowledged that Emma would be out for a while due to her back injury. The same Darren Young/Bob Backlund vignette aired from SmackDown; Backlund didn’t understand what a smart phone was and made Young do some squats. Dudley Boyz met with Shane & Steph in the office and asked for an easy match against some local guys. Steph said that is not how things are done in the New Era, despite the fact that is exactly what happened in the Colon’s match. 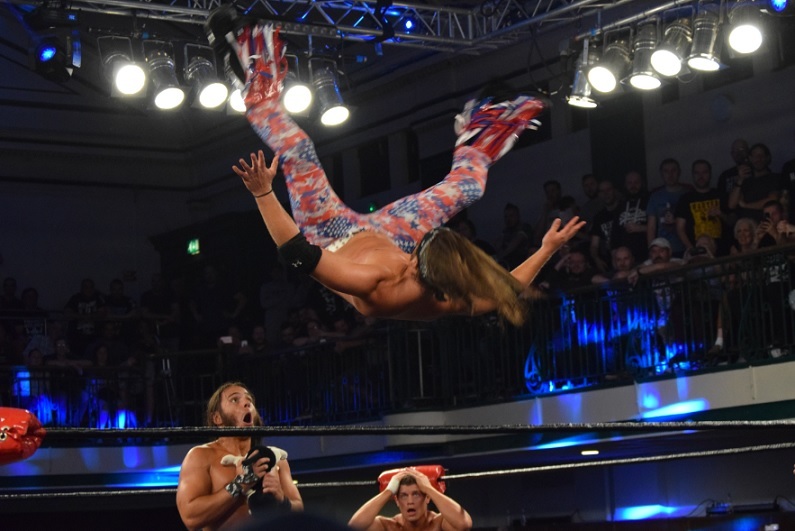 Shane booked one of the Dudleys against Big Cass instead. Big Cass beat D-Von 1:00 with the East River Crossing. Before the match, Cass made fun of the Dudleys and did an Urkel impression. It sucked. After FIVE MONTHS of the R-Truth & Goldust storyline, they finally teamed up…and lost. 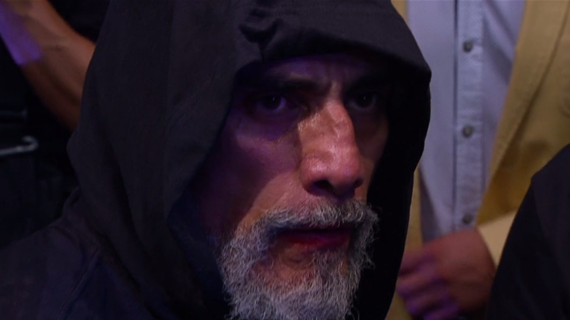 They actually went to the trouble of making a video montage of all the stupid Goldust/Truth stuff. Tyler Breeze & Fandango (whom they called Breeze-Ango) beat the Golden Truth in 2:15 after Truth kicked Goldust by mistake. In the back. Truth & Goldust agreed to keep teaming; Breeze & Fandango showed up and called them the “Golden Girls.” – Wretched. 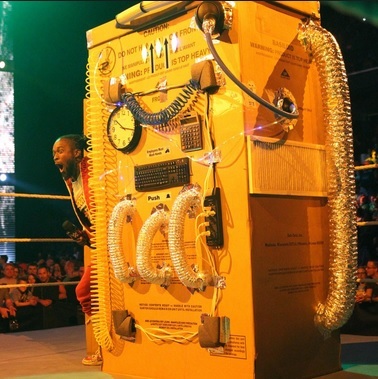 There was a New Day segment involving a time machine, which was Big E pointed out was just a giant cardboard box. They did a bit where Kofi came out of the time machine to his old “SOS” music and he spoke with his Jamaican accent. Big E & Xavier pulled him back inside the time machine and Kofi said that he wanted to stay because 2009 was his best year. They went even further back in time to the “bygone era” and the screen went black & white. The Vaudevillains showed up and attacked New Day and destroyed their time machine. Alberto Del Rio pinned Kalisto with the Backstabber in a needlessly long 11:05 match during the third hour. During the match, Rusev beat up Sin Cara in the back and dragged him out to ringside. This distracted the US champ and he lost like a chump. Rusev put Kalisto in the Accolade afterwards. WWE Extreme Rules 2016 Review – Two Great Matches, Rollins Returns, Forget the Rest.